1. Chop onion and garlic. In a 3-quart saucepan cook onion and in oil over moderate heat, stirring occasionally, until onion is soft. 2. While onion mixture is cooking, discard stems and center ribs from collards and finely chop leaves. Add collards, ham, broth, and water to onion mixture and simmer until collards are tender, about 20 minutes. 3. Rinse and drain black-eyed peas. Stir peas into soup and simmer 5 minutes. Season soup with salt and pepper and stir in vinegar. 4. Sprinkle with bacon crumbles before serving. Peanut Butter and jelly? Apple Pie and ice cream? Prime rib and horseradish? All classic and wonderful combinations. Today and tomorrow we'll think about things we would like to cook for New Years. While our family traditionally has pork, black-eye peas, slaw, collard greens, cornbread (we're Southern after all), I got to thinking what might be a great alternative to that pork. No offense to pork, I eat a lot of it but just to mix it up a bit, this prime rib and horseradish would be a killer alternative. 1. Brush roast with oil and rub with pepper. 2. Place roast, fat side up, on a rack in a shallow roasting pan. Bake uncovered at 450 degrees for 15 minutes. 3. Reduce heat to 325 degrees. Bake for 2 hours and 30-45 minutes or until meat reaches desired doneness. For medium rare, a meat thermometer should read 145 degrees; medium 160 degrees; well-done 170 degrees. Baste with pan drippings every 30 minutes. 4. Let stand for 10-15 minutes before slicing. 5. Meanwhile, in a small bowl, combine the sauce ingredients. Serve with beef. 2. Line cookie sheet (with sides) with foil and spray the foil with cooking spray. Lay the saltine crackers in single layer. 3. In a saucepan combine the sugar and the butter. Bring to a boil and boil for 3 minutes. Immediately pour over saltines and spread to cover crackers completely. 4. Bake at 400 degrees for 5 to 6 minutes. Remove from oven and sprinkle chocolate chips over the top. 5. Let sit for 5 minutes. Spread melted chocolate and top with chopped nuts. 6. Cool completely and break into pieces. In a large saucepan over medium heat, combine the first five ingredients; stir until sugar is dissolved. 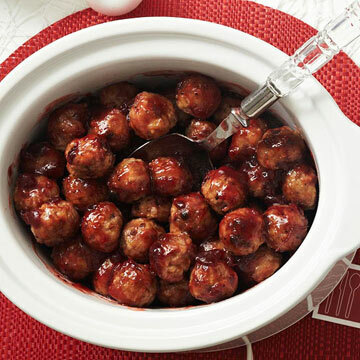 Add meatballs; cook for 20-25 minutes or until heated through, stirring occasionally. 1. Mix butter, brown sugar and cinnamon together and pour in the bottom of a greased 9x13 inch pan. 2. Add two thicknesses of bread over mixture. 3. Beat eggs, salt and milk together. Pour over the bread. 4. Cover with foil and refrigerate overnight. 5. Bake 350 degrees for 35-40 minutes, covered with foil. Bake uncovered for the last 10 minutes. 6. Invert on serving platter immediately. 7. If desired, serve with syrup and garnish with powdered sugar. 1. Preheat oven to 350 degrees. Generously grease 9x13-inch baking dish with butter or cooking spray. 2. In a medium saucepan, combine milk and salt and bring to a boil. 3. Pour in grits and stirring constantly, bring to a boil. Turn heat to medium and continue stirring until grits begin to thicken. Add butter and stir to melt. 4. In a large bowl, whisk the eggs together. Add cheese, ham and grits. Pour into prepared pan and bake for 45 minutes or until golden brown. 5. This can be cooked the night before, cooled and put in the refrigerator overnight, covered tightly. When ready to serve, bring the casserole to room temperature and then bake for 20 minutes on 350 degrees (still covered in foil). 2. Combine butter, eggs, flour, sugar, vanilla, coconut and milk. Pour mixture into unbaked pie shell. 3. Bake until firm about 45 to 60 minutes. 1. Preheat oven to 300 degrees. Grease a 10-inch tube pan with butter and dust with flour or sugar to coat. 3. Cream shortening, butter and sugar. Add eggs, one at a time, mixing well after each addition. Add cocoa, vanilla, peppermint extract, salt and food coloring. Mix well. 4. Add alternately the flour mixture and the buttermilk, beginning and ending with the flour mixture. Combine well. 5. Pour batter into prepared pan and bake for approximately 1 hour and 20 minutes or until pick comes out clean. 6. Cool cake in pan on wire rack for 15 minutes. Remove cake from pan and cool completely on wire rack before icing. 1. Put soft peppermint candies in a resealable bag and crush. Set aside. 2. In a large bowl, cream together the butter and cream cheese. Gradually add powdered sugar and then the vanilla. Cream until smooth. 3. Divide the icing in half. Add crushed soft peppermint candies to half and spread on top of cake. Spread the other half on the side of the cake. 4. Place hard peppermint candies around base of cake for garnish. 1. Place green beans in a steamer or saucepan over 1 inch of boiling water. Cover and cook until tender but still firm or desired doneness. Drain. 2. Meanwhile, melt butter in a skillet over medium heat. Sauté almonds until lightly browned. Season with lemon pepper. Stir mixture into the green beans and toss to coat. 2. Sauté the squash in a little vegetable oil over medium-low heat until it is completely soft, about 15 to 20 minutes. 4. In a medium size skillet, sauté the onion in butter for 5 minutes. Remove from pan and mix all ingredients together except cracker crumbs. 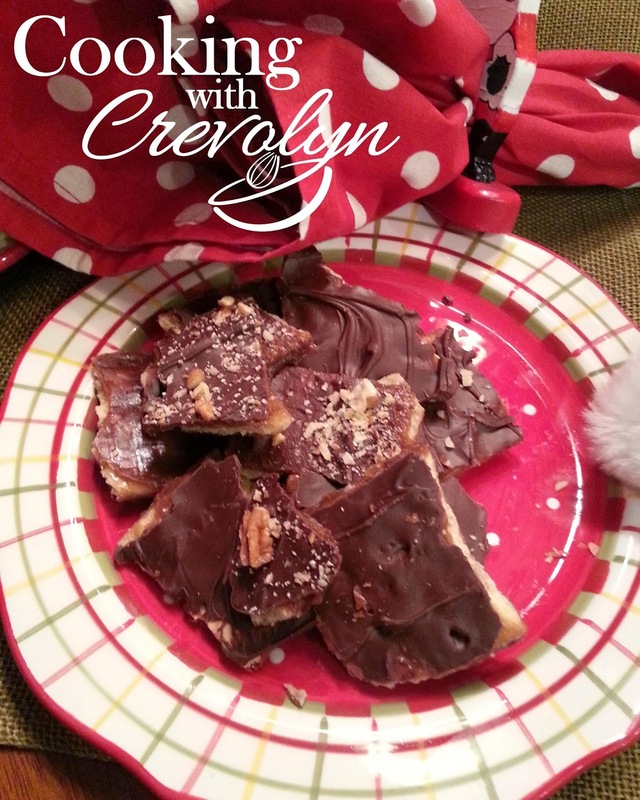 Pour mixture into a buttered casserole dish and top with cracker crumbs. 2. In a saucepan, combine cranberry sauce, apple jelly, mustard, crushed bouillon, horseradish, garlic powder and thyme and bring to a boil. 3. Line a large baking pan with foil. Place pork loin in pan, fat side up. Sprinkle evenly with salt and pepper. Using a pastry brush completely coat the pork with the cranberry mixture. 4. 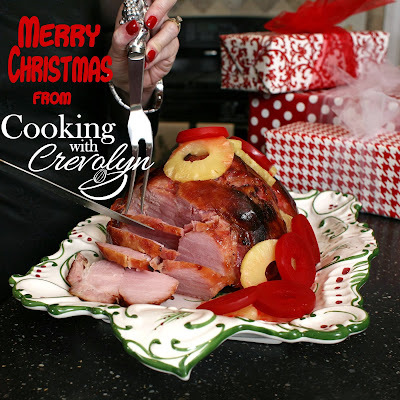 Cook approximately 45 minutes or until pork is no longer pink in the center and registers 145 degrees on a meat thermometer placed in the center of the roast. Baste every 10 minutes with remaining sauce. In a medium bowl, whisk together flour, baking soda, salt, allspice and 2 teaspoons of cinnamon. In a large bowl, beat butter and 1 cup sugar at medium high speed with a mixer until fluffy. Beat in egg and vanilla. Stir in banana, pineapple and pecans. Cover and chill for about 3 hours or until firm enough to scoop. Line baking sheets with parchment paper. In a small bowl, stir together remaining 3 tablespoons sugar and 3 tablespoons cinnamon. Using a scoop, drop 2 tablespoons dough into sugar mixture, turning to coat. Roll dough into a ball and place on prepared baking sheets. Repeat with remaining dough. Flatten each ball slightly with a bottom of a glass. Bake 14 to 15 minutes or until lightly browned on the edges. Let cookies cool completely on wire racks. Drizzle with cream cheese glaze and if desired, additional pecan pieces. In a medium bowl, beat cream cheese and whipping cream at medium speed with a mixer until smooth. Add powdered sugar and beat until smooth. Preheat oven to 325 degrees. Grease and flour a 10-inch tube pan or Bundt pan. In a large bowl, beat butter and sugar at medium speed until fluffy. Add eggs, one at a time, beating well after each addition. Beat in vanilla. Gradually add flour alternately with cream, beginning, and ending with flour, beating until just combined after each addition. Spoon half of batter into prepared pan. Top evenly with half of crushed cookies; spoon remaining batter over cookies. Top with remaining crushed cookies. Bake for 1 hour and 10 minutes to 1 hour and 20 minutes, or until a tester comes out clean. Let cool in pan for 10 minutes. Remove from pan and cool completely on a wire rack. In a small bowl, whisk powdered sugar and milk until smooth. Drizzle glaze over cooled cake and garnish with cookie crumbs. In a large bowl, beat together butter and white sugar at medium speed with a mixer until creamy. Add vanilla and egg; beat until combined. Beat in flour and baking soda until combined. Pat dough into a disk. Cover in plastic wrap and chill for 3 hours or until firm. Line baking sheets with parchment paper. In a shallow bowl, place raw sugar. Using hands, shape dough into tablespoon-size balls and roll in raw sugar. Place on prepared baking sheets. Using the handle of a spoon or your finger, make an indentation in the center of each cookie and fill with 2 teaspoons jam. Bake for about 12 minutes or until lightly browned around edges. Cool completely on wire racks. Store in an airtight container for up to 3 days. Stir together flour, cocoa, baking soda and salt in a medium bowl. Set aside. Beat together butter, brown sugar and white sugar in medium speed with a hand mixer. Add eggs one at time, mixing after each addition. Beat in vanilla. Add flour mixture slowly as mixture will become very thick. Stir in peppermint chips and chocolate chunks. Drop rounded tablespoons of dough 2 inches apart on ungreased or parchment-lined baking sheet. Bake for 10 minutes. Let cool on baking sheet for about 2 minutes then transfer to wire rack to cool completely. Mix together coconut and flour in a large mixing bowl. Add in condensed milk, egg white, salt, vanilla and 1/2 cup chocolate chips. Mix thoroughly. Using an ice cream scoop, place scoops onto a cookie sheet lined with parchment. Bake for 20 minutes or until golden brown. Remove from cookie sheet immediately and cool on a wire rack. If dipping in chocolate: melt remaining 1/2 cup chocolate chips with 1/2 teaspoon coconut oil in the microwave or over low-medium heat in a saucepan. Pour into a small bowl, and dip just the very bottom (or very top) of the macaroon into the warm chocolate. Place on parchment paper until set. 1. In a quart glass jar, layer brown sugar, chocolate pieces, flour, baking powder, salt, nuts and toffee pieces. 2. Fasten lid tightly and attach directions (see below) for making bars to the jar. Preheat oven to 350 degrees. Grease an 8x8x2-inch baking pan. In a large bowl, combine ¼ cup butter, 2 slightly beaten eggs and 1 teaspoon vanilla. Stir in jar contents. Spread into prepared pan. Bake for 25-30 minutes or until set and golden brown and edges just begin to pull away from pan. Cool in pan on a wire rack. Cut into bars. Soak raisins or dried cranberries in water for 15 minutes. Preheat oven to 325 degrees. Grease a 10-inch bundt or tube pan. Using an electric mixer on medium speed, beat butter until creamy. Add sugar and beat until light and fluffy, about 5 minutes. Add eggs one at a time, beating well after each addition. Mix together eggnog and vanilla. At a low speed, add dry ingredients to butter mixture in 4 additions, alternately with eggnog. Begin and end with dry ingredients. Gently fold in orange zest, raisins and remaining water. Spoon batter into pan, spread evenly. Bake 55-65 minutes or until a wooden skewer inserted in the thickest part of cake comes out clean. Remove from oven and cool upright on a rack for 10 minutes. Prepare glaze by mixing together orange juice and sugar. Invert cake onto a rack, over a sheet of waxed paper. Use a pastry brush to brush the surface of the cake with the glaze. Cool completely before serving. 1. Beat together all ingredients at medium speed with an electric 2 to 3 minutes or until smooth. 2. Line 2 (10 ounce) ramekins with plastic wrap, extending edges over sides. Spoon cheese mixture into ramekins. Cover and chill 24 hours. 3. Invert cheeses onto serving dishes and garnish. Mix first six ingredients together in a large bowl. Melt chocolate in the microwave and pour over mixture. Spread on wax paper to let cool. Package in tins, bags or festive jars. All this week I'll be presenting recipes that will be great as Christmas gifts! Perfect for teachers, neighbors, co-workers, or just anyone special on your gift list. Today's recipe would be great for those fellas who sometimes aren't the easiest ones to buy for. This rub is especially good with any kind of pork, especially ribs.